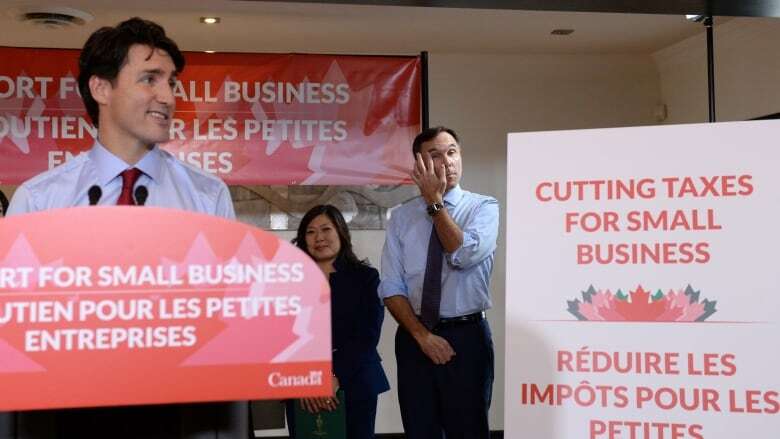 Ottawa announced its plans today to cut the small business tax rate from 10.5 per cent to nine per cent by 2019, as it attempts to quell a backlash to proposed tax reforms that have stung the Trudeau government. The drop, first announced during the lead-up to the 2015 election campaign, would first lower to 10 per cent on Jan. 1, 2018, and then down to nine per cent on Jan. 1, 2019. Finance Minister Bill Morneau's move to reduce the tax rate paid by small businesses comes at a time when his government is deflecting criticism of proposed tax reforms that have angered small business owners, who said the changes would hurt the same middle-class Canadians the government is purporting to help. Some premiers and Liberal backbenchers also objected to the reforms. The new plan was presented at a national caucus meeting Monday morning. Morneau also announced changes to the package of tax reforms he first announced this summer. The Liberals will be releasing news of the tweaks throughout the week. At a stop at an Italian restaurant in Stouffville, Ont., Morneau, Prime Minister Justin Trudeau and Small Business and Tourism Minister Bardish Chagger said the government will not be moving forward with its proposed changes to limit access to the lifetime capital gains exemption noting "potential unintended consequences associated with the proposed measures." The proposal was particularly unsettling for farmers who argued the changes would make it more expensive for a family member to buy a farm than for a third party. The Liberals said they are still sticking with their plans to restrict "income sprinkling" — the practice of transferring income from a business owner to a child or spouse who would be taxed at a lower rate. But they stressed they aren't coming after family members who work for the business. Trudeau said there will be a "simple and clear" framework for families to follow. "It's not the people who are the problem, it's the system," he said. All three major parties pledged to cut the small-business tax rate in the run-up to the last election, and the previous Conservative government had begun cutting it in its last budget. In their platform, the Liberals said as they reduced the tax rate they would close loopholes that allowed the wealthy to use incorporation as a small business to unfairly reduce their income tax burden. In their first budget, the Liberals froze the rate at 10.5 per cent. It applies to the first $500,000 of active corporate income, and the government says lowering the rate will provide entrepreneurs with up to an additional $7,500 per year. 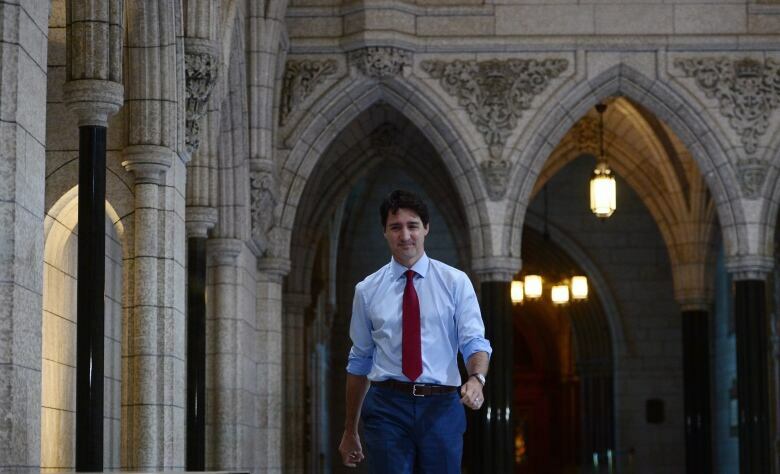 "This tax cut will support Canada's small businesses so that they can keep more of their hard-earned money — money that they can invest back into their businesses, their employees and their communities," Trudeau told a news conference. "When we made the commitment back in 2015 to lower small business taxes, we were very clear about one thing: we would only make this change after we took a look at the tax system. That's what these consultations of these past months were all about." Conservative Leader Andrew Scheer isn't buying the timeline. "The prime minister only made this announcement today because local business operators are speaking out in opposition to his tax grab," he said. "When he promises that he won't raise taxes on the middle class, I just don't believe him. The high tax hypocrisy of the Liberal government, including the self-proclaimed family fortune that is left untouched by these measures, is starting to be understood by more and more Canadians." The attacks from Conservatives were bolstered by news that, for two years, Morneau failed to disclose to the federal ethics commissioner that he and his wife are partners in a private company that owns a family villa in southern France. Morneau had already publicly suggested that all three pillars of the Liberals' tax reform plan could see adjustments. The government's original plan, which included restrictions on income sprinkling, also proposed limits on the use of private corporations to make passive investments that are unrelated to the company and would curb the ability of business owners to convert regular income of a corporation into capital gains. Backbenchers emerged from the meeting saying they feel satisfied that the government has listened to their concerns. "I feel very, very positive. 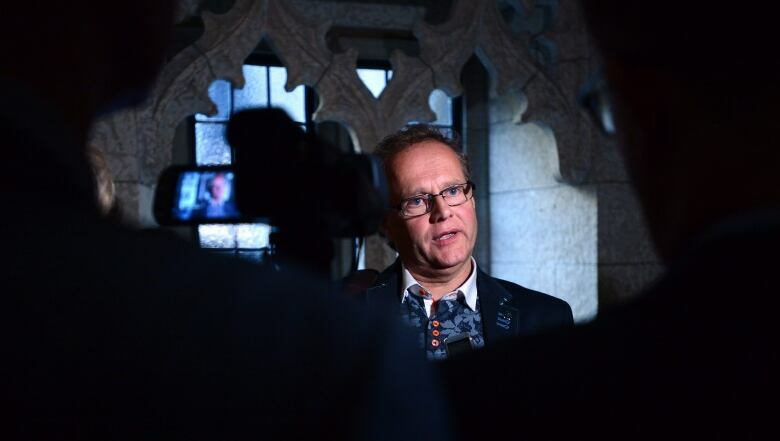 For the first time in a couple months, I've got a bit of a smile on my face," said Saint John MP Wayne Long, who was kicked off two Commons committees for voting against the government earlier this month on a Conservative motion calling for further consultations on the proposed reforms. "There wasn't a lot of specifics today, but I'm very, very confident by certainly the tone and messaging of the minister that a lot of these concerns ... will be addressed." The rollout of the tax reform proposals has been a communications disaster for the government, in part because backbenchers were not consulted before the original announcement, Long suggested. "I'm hoping that we can all learn from this and move forward as a team ... When everybody on the team feels they're part of the team, that's what makes a winning team and I think we've turned a corner on that." Edmonton MP Randy Boissonnault, who had apologized to small business owners for the implied message that they're tax cheats, said he's satisfied there has been a "change in tone already." "The finance minister has listened. Caucus has been involved and heard very loudly," he said, adding that business owners have also been heard. ​On Friday, Morneau acknowledged that the government has to do a better job of reassuring middle-class Canadians that they won't be hurt by the proposals. "The fact that farmers won't be impacted, we need to make that clear," he said. "The fact that, you know, small businesses will be able to continue to invest in their business, which is what we want, and won't be worried about passing their business to the next generation, we're going to communicate that clearly."